Is GTCM licensed as a broker? GTCM is a brand name of Depaho Ltd, a registered Cyprus Investment Firm licenced and regulated by the Cyprus Securities and Exchange Commission to offer services across Europe and other countries. What are the commissions and fees charged by GTCM? Apart from Spread GTCM does not charge any additional commission or fee. Deposits and withdrawals are made free of charge. However, a Rollover Fee is applied on positions left open overnight, and an Administrative Fee may be applied for inactivity on your trading account for more than six months. For more information please refer to our Product Sheet & Costs. 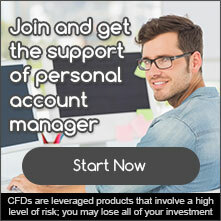 What products can be traded on GTCM trading platforms? 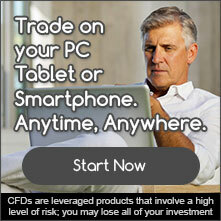 Currencies, commodities, stocks, indices, cryptocurrencies and ETFs via CFDs. For more information please refer to our Product Sheet & Costs. Does GTCM offer any training for beginners? If you are relatively new to online trading you can sign up for our webinars and have the opportunity to learn more about the Forex market, methods of analysis, and about the trading platforms and tools available at GTCM. You can choose to deposit via wire transfer, credit card or Skrill by clicking on the Deposit button on your platform. Please see our Account Funding Page for details. You can withdraw your money whenever you want. To withdraw funds you need to fill out our Withdrawal Form or click on the Withdrawal button on your platform. For more information, please see our Withdrawal Page. Also known as foreign exchange, Forex represents the exchange of one currency for another at an agreed exchange price. Being the world’s most traded market, with an average turnover of $5.3 trillion per day, Forex provides a number of trading opportunities. When is the Forex market open? For forex traders, currencies are free of this restriction and can be traded day or night—24 hours a day, 5 days a week. What currencies can be traded? The forex market offers a large selection of currency pairs to trade. The major once are EUR/USD USD/JPY, GBP/USD and USD/CHF.